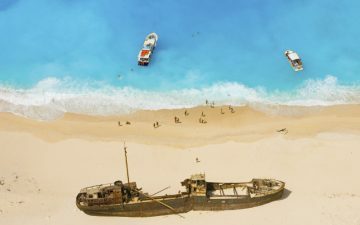 If you’ve heard rumours that the Greek island of Zante has become something of a party island and it’s only for the younger crowd, you might want to think again. While it’s true that some resorts on Zante attract those travellers who like it lively, that’s not a representation of the island as a whole. Zante still has some quiet spots, it still maintains its Greek charm and it’s not hard to find the areas of the island that are right for you. 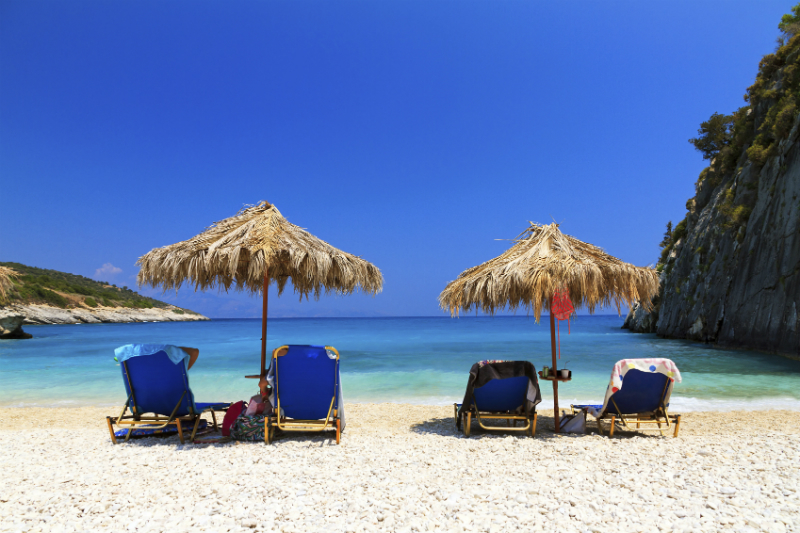 So, why is Zante a great destination for the mature traveller? For a start, it’s a simply beautiful island, and its attractions can be enjoyed and appreciated by visitors of all ages. But to be more specific, Zante has a laid back pace of life some of its neighbouring islands don’t. Each Greek island has its own character and Zante’s is that of sun-filled days, balmy nights and taking it easy. While you can find lively if that’s what you want, relaxation and calm are everywhere here. Hotels in Zante will give you the perfect base from which to enjoy your island holiday. The Greek hoteliers are very warm and welcoming and all speak good English, so you don’t need to worry about being misunderstood if there’s anything you need. Hotels in Zante offer a high standard of service and you’ll find the people of Zante are friendly and helpful, often engaging you in conversation or just some idle chat. Most hotels in Zante offer a buffet service in the restaurant so you can pick and choose what you want to eat. Many travellers find this is preferable, especially if you’ve never eaten Greek before. Hotels in Zante often do put on Greek food only on specific nights so if you’ve never tried it before this is the perfect opportunity to indulge in some fantastic Greek cuisine. The staff will be happy to explain dishes to you and advise you on what to try. 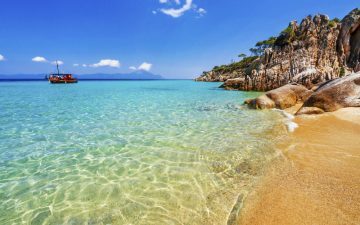 If you already love Greek food or are naturally adventurous, Zante has some unusual local specialities, as well as the more well know Greek dishes. Like many of the Greek islands, Zante’s terrain is hilly in places. However, the beaches and promenades are flat and make the perfect place for an evening stroll after dinner or daytime walk with the sun on your back. Facilities are good wherever you stay on the island and there’s no shortage of sun loungers on the beach and sea front tavernas for a spot of lunch with the beautiful Ionian Sea sparkling before you. Zante does get very hot in summer with temperatures climbing up to 40 degrees sometimes. But travel in May or early June and you’ll find conditions are much more manageable. In spring Zante will be a place of pretty foliage and flowers blooming, the warm sun bursting out of its winter hiding. The atmosphere everywhere is one of relaxed calm as the summer stretches out in front of the island. 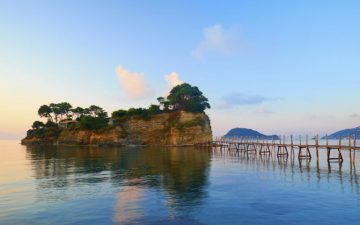 Activities in Zante differ depending on where you’re staying and what you’re looking for, but most hotels in Zante host quiz nights and other activities on site, or you can wander out to a nearby taverna for a quiet glass of ouzo while the sun goes down. Daytime activities, if you want them, can be boules on the beach or basking in the sun on your lounger by the pool with a good book and a cocktail. Zante also has some pretty little traditional fishing villages to visit, as well as wine tasting trips and tours of historical sites. Zante’s scooped, sweeping beaches and traditional tavernas make this island a picturesque and calming place to spend a holiday. The island has a ’no rush’ atmosphere, while at the same time its people are helpful and genuine in their love of tourists. Boat trips and gentle walks along the seafront offer alternate perspectives on the coastline and landscape, and when the evening draws in there’s nothing better than gazing out to the mesmerising Ionian sea with a glass of locally produced wine or the island’s ouzo. So, why is Zante a great destination for the mature traveller? There’s diversity in Zante, giving visitors choice, but at its heart this is an island of beautiful scenery for gentle walks, fine food and drink, traditional Greek life and a very warm welcome.